Team members are committed to their team and achieving success however don’t believe that their training needs are met and that their individual performance is reviewed often enough. 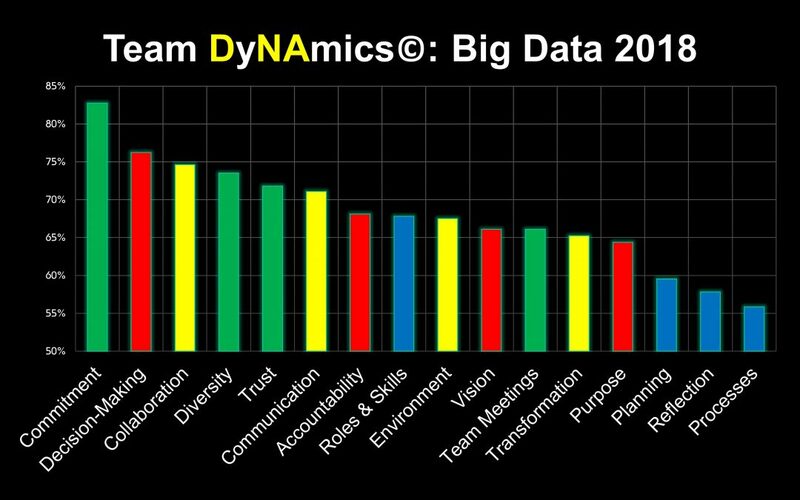 These were trends coming out of the 2018 big data, from teams using the Team DyNAmics© Model, that helps teams to measure teamwork. It also revealed some other interesting trends. N.B. Teams using the Model include leadership, operational and project teams. Overall, Team Engagement was 68%, or if you put it another way, this would equate to a TripAdvisor rating of 3.4 out of 5!! 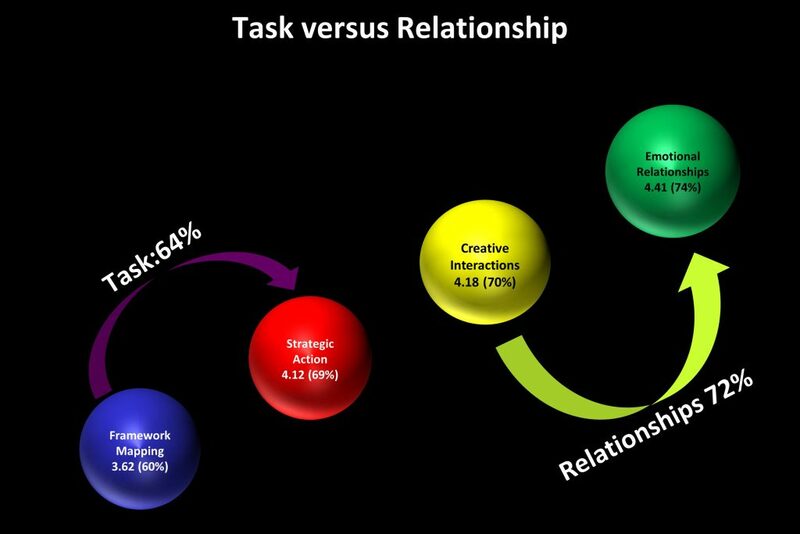 With 5 of the 8 Elements that make up the Relationship Categories of Creative Interactions and Emotional Relationships, being in the top half, there was an 8 percentile difference between Relationship and Task. 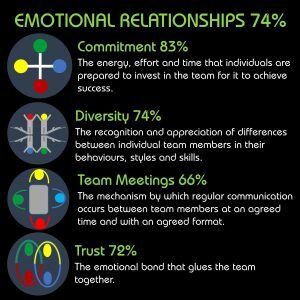 Dedication to the success of the team and pride in being part of it has meant that Commitment is the top of the 16 Elements measured in the model. 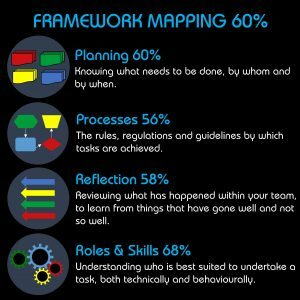 As in 2017, Framework Mapping continues to cause teams issues. Lack of clearly documented processes, no accurate information to enable them to review team performance and having too much bureaucracy, red tape and IT security hindered teams in doing their jobs effectively and efficiently. Of the 16 Elements, the bottom 3 are in the Framework Mapping Category, Planning, Reflection and Processes. Bottom of the 16 Elements is Processes. Teams are stating that they do not have clearly documented processes, to enable them to undertake their jobs effectively and that the processes that they do undertake hinder, rather than aide them. 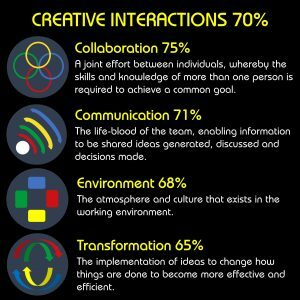 Research suggest that only 10% of teams are high-performing teams, that about 50% are working OK and that the remainder are under-performing. So, where would you rate your team? Is your perception a guess, or do you actually know? There are a huge number of teams that don’t measure the effectiveness of their teamwork, which is frightening. Those that do, have a significant advantage in achieving success because by measuring teamwork, they can understand what is working well and importantly, what isn’t. This enables them to implement changes to overcome their challenges. If you think about all the successful teams, they have a number of things in common. 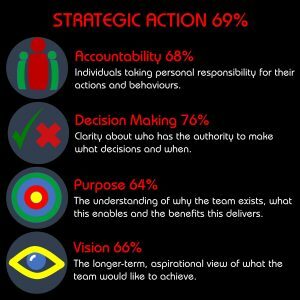 They have the right people with the right skills in their team and they have lots of data about how they are working as a team, that is constantly reviewed and changes made to optimise their performance. All the greatest sports teams do this however, in business, teams rarely focus on measuring teamwork and ultimately, it is how effective your teamwork is that will impact on achieving the targets set for the year. You can read more about the Team DyNAmics Model© here. If you wish to find out more about the Team DyNAmics Model© and how it can help you and your team achieve even greater success, please use the Contact Form to get in touch. Sharing is caring, so please forward this to those people that you know that may benefit from using the Team DyNAmics Model or reading this article.